Yesterday I flew home from Israel. I fly El Al, Israel's national airline, period. This is my airline, so if you invite me for a seminar do not seek a cheap deal with Air Turkey, or "Fred's Discount airline", for me it is El Al. On El Al flights there is a special edition of Israeli news, specifically for the airline passenger. Sadly, tragically, nearly every time I have flown home from Europe I have watched the news only to witness yet another attack against Jews/Israelis. On one flight it was the attack on teachers and students at a Jewish school in France, on another recent flight it was the attack on Israeli tourists in Bulgaria, an entire bus full of Israeli tourists went up in smoke, and on this flight it was an attack on Israel itself by an armored personal carrier racing into Israel from the Egyptian border at 70 kilometers per hour. The difference is that unlike the attacks on Israelis and Jews in Europe, this one was not successful, because in this case Israelis were on guard. I was in Holland and I noticed that near the El Al counter there were many armed police officers. Wisely I was the one detained and questioned at length, (in a private room with three armed guards). In Germany too I noticed men with automatic long weapons only in the El Al section, made me think of how well they performed in 1972 when our athletes needed a little help. The result- eleven of our best athletes murdered in cold bold. And now 40 years later the Olympics refuse to even honor their memory. So this time on my El Al flight home I watched in horror the video footage of an armored personal carrier racing into Israeli territory. The Egyptians border police put up quite a fight; they lost sixteen men, killed no one, and let the terrorists steal an armored personal carrier. The armored personal carrier, filled with tons of explosive and six armed terrorists, (yes, they are terrorists, not freedom fighters, there is a difference) raced into Israel. But Israel was on guard and tracked them immediately. The Bedouin trackers fired first and alerted the Israeli military. All roads were closed, soon enough Israeli helicopters fired a direct shot and destroyed the enemy vehicle. Israel returned the burnt out vehicle to the embarrassed Egyptians. So this time it ended differently, because this time, Israel a nation of warriors, took care of the problem, not the Germans, not the French and not the Bulgarians. 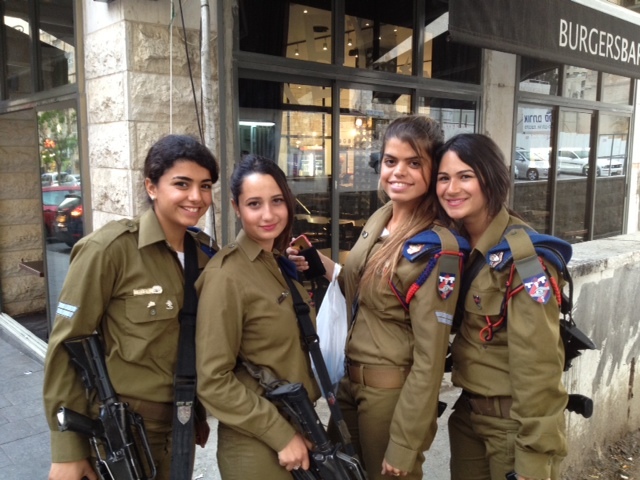 Israel is safe because we keep it safe, not because our enemies are lazy. Let the world know that not a day passes without an attempted terrorist attack, but we, and you our guests, are safe because the guardian of Israel does not rest and does not sleep, so you can sleep well. democratic state and a powerful military. himself off and returning home. sought after by security forces worldwide. civilian/warrior heroes that have amazed the world.